bring ’em or leave ’em? I’m packing up my circus tent and going on the road. Yup, I’ll be taking a break from this small corner of the planet and head off to somewhere much more pleasant this time of year. I do not care for winter and if I don’t have to subject myself to all of the nonsense that goes along with it for the duration, I won’t. Help! Who Should Be My Travel Buddies? One of the ways my family copes with the chaos of the holidays is we escape them. Next week we are off on another travel adventure that will undoubtedly include some outdoor toy photography. I have to start packing my Lego mini figures soon, but I don’t know which ones? Frankly I’m overwhelmed and a bit frazzled going into the holidays (I know, aren’t we all! ), and I need some help choosing the subjects of the photos you will be seeing over the upcoming months. I have more than a few mini figures so you can also think of this as a game of “Does she have…?” Please keep in mind I will be on sandy beaches, old lava flows of black sharp rocks and at least one volcano, plus the usual tropical vegetation; the possibilities are endless. You can also think of this as a way to challenge me photographically. As you may have already noticed I have my favorite mini figs and accessories. By suggesting your favorite mini figure(s) you can help me to break out of my rut and try something new! Any and all suggestions will be considered and if feasible, included. So what do you say, who should my travel buddies be? 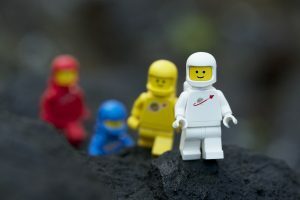 Who are your favorite Lego mini figures to photograph? If you where ship wrecked on a desert island, what mini figures would you want to have with you?